This pattern is quick to make. It might be a bit difficult for a beginner but if you have mastered RAW, it will be easy. 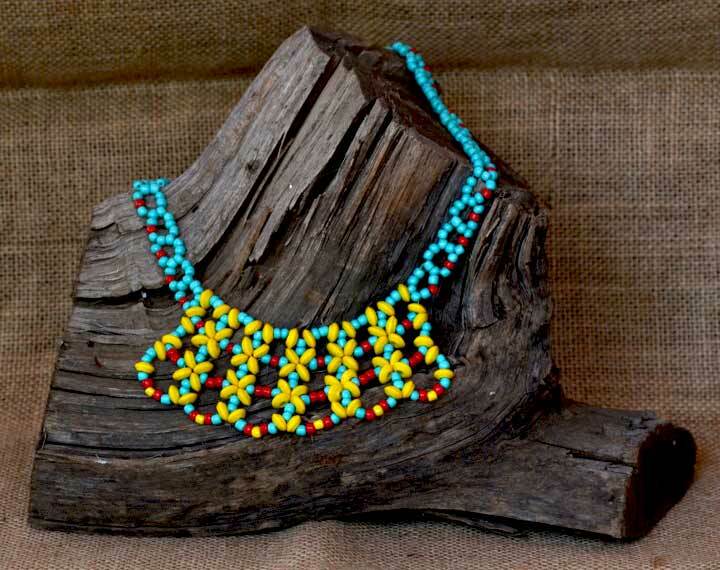 The yellow beads are 8mm wooden rondelle beads but glass rondelle beads would also work.